As the oil price rally continues it is looking increasingly likely that Brent will break the $70 mark, a scenario that has OPEC on edge as prices move beyond its stated target. 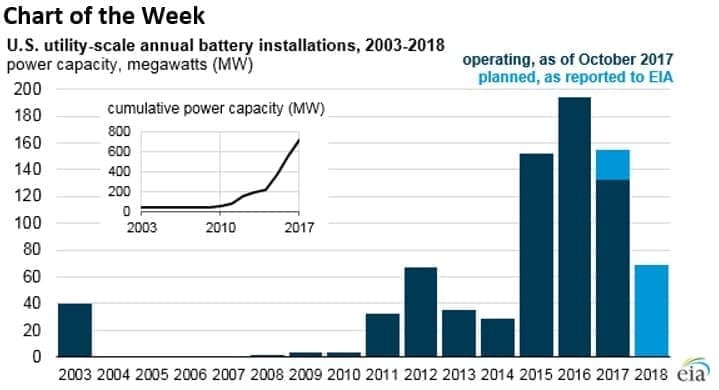 - The U.S. has seen the installation of around 700 megawatts of utility-scale battery storage capacity over the last several years. - The total is only 0.06 percent of U.S. utility-scale generating capacity. But the storage market is starting to gain steam. - As of now, there is another 69 MW of capacity planned for this year. • ONEOK (NYSE: OKE) announced plans to spend $1.4 billion on a new pipeline from the Rocky Mountain region. The 900-mile Elk Creek Pipeline would carry 240,000 bpd of unfractionated NGLs from Montana to Kansas, and is expected to be completed by the end of 2019. • Credit Suisse says it’s time to buy oilfield services stocks. 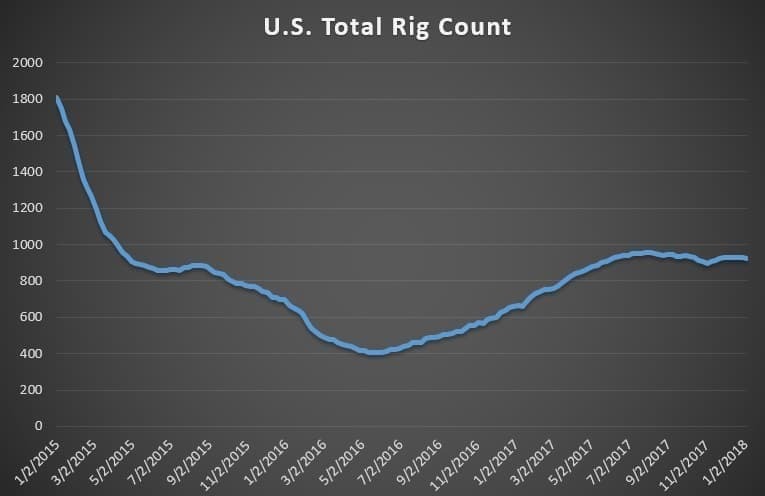 “The oilfield services sector - after suffering the sharpest decline in history followed by the sharpest recovery - is back to what appears to be at least a three-plus year run of somewhat normal growth,” Credit Suisse analyst James Wicklund wrote. • Nymex futures for natural gas fell back after the cold snap. Spot prices in New York and New England have spiked to stratospheric levels, but the problem is pipeline capacity not a shortage of natural gas. Nymex gas is still trading below $3/MMbtu. Oil has held onto the strong gains from last week, despite some choppy trading. As of early trading on Tuesday, Brent was sitting at roughly $68 per barrel and WTI at $62. Brent is not far from the key psychological threshold of $70, a level that hasn’t been hit since 2014 during the beginning of the market downturn. Iran worries about oil prices moving too high. Iran’s oil minister said that OPEC does not want oil to rise any more than it already has so as not to spark a shale drilling boom. 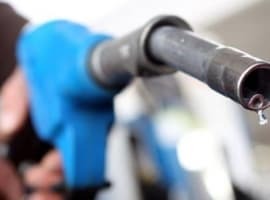 “Members of the Organization of the Petroleum Exporting Countries are not keen on increased Brent crude prices above $60 a barrel because of shale oil," Bijan Namdar Zanganeh said in comments on the ministry’s news agency Shana. Oil tanker profits plunge. Earnings for supertankers that move oil around the world fell by more than half in 2017, in large part because of the OPEC cuts. Fewer shipments came at a time when the shipping industry brought new capacity online, crushing their day rates. “These cuts reduced the number of cargoes from the Middle East to Asia significantly at a time when a large amount of newly-built vessels are being delivered,” Olivier Jakob, managing director at Petromatrix GmbH, told Bloomberg. Earnings per day fell to $17,794 on average in 2017, the lowest figure since 2009. The poor conditions for the oil tanker industry are set to continue this year, with capacity expected to expand by another 4 percent at a time when OPEC will continue to hold back supply. FERC rejects proposal to subsidize coal and nuclear. FERC, the powerful energy regulator in the U.S., rejected a proposal from the Department of Energy to prop up aging coal and nuclear power plants. The logic behind the proposal was to reward power plants that provide “resilience” to the grid. That is, the proposed rule change would have led to a premium for plants that held a 90-day supply of fuel on site – a definition only met by coal and nuclear plants. FERC rejected the proposal, and instead asked grid operators to come up with ideas to improve resilience. The rejection is a blow to the coal and nuclear industry, as well as the Trump administration, which supported the proposal. Iranian oil tanker burns for a third day. An Iranian oil tanker collided with a Chinese freight ship in the East China Sea, and the fire on the tanker raged for a third day. Poor weather hindered rescue efforts on Tuesday. The tanker has been leaking condensate, an ultra-light crude oil that is volatile, raising fears that the tanker would explode. “We can’t grasp the level of oil contamination at this moment. The cargo is still on fire, so it is hard to figure out if oil is being spilled,” Park Sung-dong, an official from South Korea’s Ministry of Oceans and Fisheries, told Reuters. Gasoline shortages in Nigeria. Nigeria has suffered through several weeks of fuel shortages. Despite producing nearly 1.8 million barrels of oil per day, the poor state of Nigeria’s refining sector means that the country has to import most of its refined fuel. On top of that, regulated fuel prices mean that refiners struggle to turn a profit. Hedge funds continued to step up bullish bets. Major investors increased their net length on WTI and Brent futures at the start of the year, breaking new records in the extent of their bullishness. The positioning is a testament to the optimism surrounding the trajectory of oil prices, but it also continues to heighten the risk of a correction to the downside. Venezuelan oil production sinks again. Venezuela’s oil output fell by another 100,000 bpd in December, dipping to just 1.7 mb/d, the lowest level since 2002, according to S&P Global Platts. The drop off is steeper than prior monthly losses, and raise fears of an accelerated decline in 2018. S&P Platts says that Venezuela "has been suffering from a spiraling economic, political and humanitarian crisis, with state oil company PDVSA short of funds, personnel and equipment, and suffering under U.S. sanctions that restrict its financing." Oilfield services companies plan IPO. Some oilfield services companies are planning public offerings this year after putting plans on ice in 2017. Expectations of higher oil prices and higher spending from drillers makes 2018 more opportune for going public. 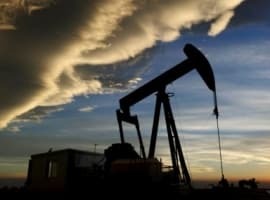 Reuters reports that Liberty Oilfield Services, a fracking services company, recently filed to raise $160 million by selling 10.7 million shares. If that offering goes well, more IPOs will likely follow. 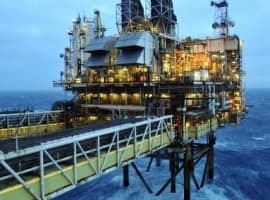 Shell plans focus on shale. Royal Dutch Shell (NYSE: RDS.A) will increasingly rely on shale production going forward, according to an FT interview with the oil major’s CEO. Ben van Beurden told the FT that Shell will invest in chemicals, electricity and biofuels in the years ahead, a variety of sectors that will act as a hedge against a tightening regulatory regime on carbon emissions. As for oil, Shell will focus on shale development in the U.S., Canada and Argentina. Shell has been late to the shale game, but van Beurden says its declining cost of production combined with the rebound in oil prices means that “you will see a tremendous amount of growth” in cash flow. The oil price is heading beyond $70 a barrel this year underpinned by very positive global oil market fundamentals. Moreover, by 2020 we could see the return of the oil price to $100/barrel or even higher. This is great for the global economy. The steep decline of the oil prices since July 2014 has very adversely impacted on the global economy in terms of the damage inflicted on the economies of the oil-producing countries, the decline in investments and the cancellation of major projects by the oil industry and above all the huge decline in global investments. That is why we could be heading towards an oil supply gap by 2020. A rise in the oil prices is exactly what the global economy needs now.